Sadly, cancer is as common in pets as it is in people. 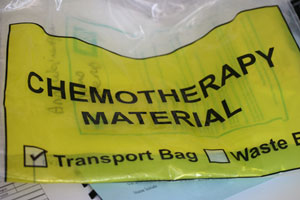 Some cancers can be treated very effectively by removal or with drugs. We use a variety of options that can give better quality of life and sometimes extend life. David Knowles is the main veterinary surgeon dealing with chemotherapy.